Josslyn’s spirit guide readings are so much more than just telling you who your guides are, she delivers messages from your guides about whatever intention you choose to explore; soul path, psychic abilities, your connection to Mother Earth or Father Sky, romance, career path, health, protection, and more. Josslyn works directly with the Higher Power of your heart to send down the Highest and Most Sacred Order of Guides for you, for the best and highest good. 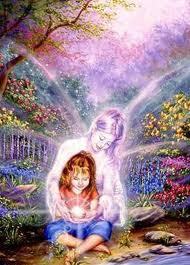 Through Josslyn, you will only get messages of Love and Light. The world of spirit guides is as endless as the world of energy. You never know who or what you are going to get. Sometimes they are expected and other times totally unexpected. Open up your mind to the positive possibilities. Children particularly LOVE to get spirit guide readings and the process and knowing of their personal guides can be very spiritually empowering for them. 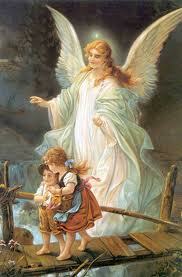 They often feel a connection to having angels and fairies around them anyway. I often find that the children already know the guides are there and may even see them or communicate with them. The more we can encourage their connection to Highest Spiritual Order of guides who are sent directly by God, the better. Please be discerning when asking or talking with guides. I recommend that you pray or ask directly to Divine Source, God, Great Spirit, whatever name you choose to use when talking to our Creator of Love and Light. Ask Creator to send the Highest Spiritual Order of guides to heal, protect, guide, you and/or your family and they will come. Whether you can hear them or not, see them or not, they will be there to help you. Again, just ask and say thank you, every single day. Children will have confirmation that they are not alone, that they have a friend who is always there to listen when they need them. It also lets them know that it is safe to talk about these guides with their parents. The more the parents encourage communication between their child and their child’s spirit guide the more the child will stay open to these connections and build more in the future. This often gives children a great deal of relief and confidence. Ascended Masters can also be viewed often as Religious figures such as; Jesus, Mother Mary, Buddha, Krishna, Kwan Yin, St. Germaine, Merlin, Tara, and many more. Beings from the elemental kingdom, such as; fairies, mermaids, gnomes, elves, devas, sprites and much more. Physical beings we have known in this life who have passed on, such as; pets, grandma or grandpa, a favorite uncle or aunt, or godparents who sticks around to help and watch over you. Josslyn teaches in her Reiki classes how to call on and communicate with your personal spirit guides. Check out the “classes” pages for Reiki classes to see if it may be what you are looking for. Sessions with Josslyn cost $25 for every 15 minutes or $95 per hour. Spirit Guide full readings can typically be done in 1 – 1 & 1/2 hours per person. For a quickie, one guide for a 15 minute session, less message more guide. Bring a friend, doing spirit guide readings with a close friend can be a lot of fun. I can do two to three people in a group. Buy in bulk to save $$– 6 hours paid in full, $420. ($70 per hour) First session 2 hours, the rest are up to you. 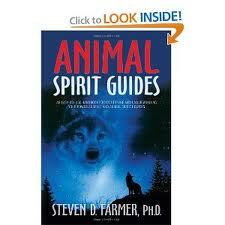 “Animal Spirit Guides” By Steven D. Farmer, Ph.D. The spirit world is another dimension that exists alongside our material reality and is populated with nonphysical beings, or spirits. It’s not some place up in the sky or removed from us, but is present and accessible at all times, requiring only the willingness, intention, and openness to make contact with those beings that reside there. Our awareness and consciousness are the vehicles that allow us to accomplish this. My favorite picture of a Guardian Angel. I have this hanging by my desk. In this alternate nonphysical reality called the spirit world, you’ll find ancestors, archangels, ascended spiritual masters, religious figures, deceased loved ones, fairies, and for our purpose, spirit animals. These beings are extensions of God, Great spirit, Source, or whatever name you give to All-That-Is, just as those of us and everything else in the material world are. What we call matter is denser and more tangible to our usual senses, whereas assessing this other dimension requires greater receptivity, heightened awareness, and a consciousness that allows for the existence of this aspect of being. The term spirit guide, also known as a helping spirit or guardian spirit, is a term for any of these spiritual beings that help us in a life-in a positive way. We can call on them for guidance, protection, healing, encouragement, and inspiration. Some have been with us since childhood, while others have appeared at various periods in our life, perhaps to help us through a difficult transition. We may see them, hear them, feel them, or just know they’re with us, and we can have any number of spirit guides throughout our life whether we’re aware of them or not. They want to help us have a more peaceful, harmonious, and happier life, yet will not interfere with our free will. They are happy to serve and willingly do so whenever called upon. Those spirits that are in animal form that teach us, guide us, empower us, and help us heal are called animal spirit guides or spirit animals. 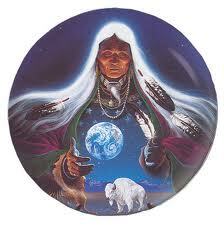 In shamanic and indigenous cultures, they may be called totem animals or power animals. Often these terms are used interchangeably, although there are subtle differences in meaning. The term totem animal has two meanings. first, a totem animal is typically one that is shared by a family, clan or group. In many indigenous cultures, often the family you were born into will have a totem animal in common. In modern societies, various groups also have communal totems, such as sports teams or clubs that identify with a totem animal. A second meaning of totem animal is a representational object of a particular animal, such as the small tortoise, owl, raccoon, and hawk glass figures that we collect and sit on our shelves. We often give our children totem animals, such as teddy bears or bunny rabbits to give them comfort. 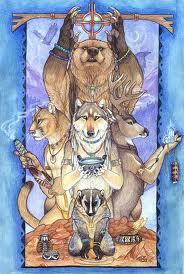 The term power animal has its origins in shamanism. This is a specialized animal spirit guide that shamans or shamanic practitioners acquire early in their initiation into their practice. their power animal travels with them wherever they go on a shamanic journey, which is an altered state of awareness in which the practitioner sends their soul or consciousness into non-ordinary reality-a shamanic term for the spirit world-to receive teachings, guidance, and healings. You can, however, have a relationship with a power animal even if you’re not a shaman or shamanic practitioner. They may come to you in meditations, visions, dreams, or shamanic journeys. It’s a highly personal and specialized relationship with an animal spirit guide, one in which the personality and characteristics of the particular power animal that you’ve attracted to you is typically reflective of your own personality and.